Do You Have Issues with Emotional Eating? I work with women and men of all ages with eating disorders. which is typically related to emotional eating disorders. Are you looking for a Private, Professional Counselor in the local Portland area? Finally! An Honest Emotional Eating Disorders Counselor? Do you have Fear of Gaining Weight or Losing Weight? Are you Obsessed with Overeating? There are many eating disorders in this day and age. Some of the common eating disorders include bulimia, anorexia and binge eating. These disorders usually result in undesirable effects such as weight gain and weight loss. They may also have social consequences. What most people do not realise is that there is usually an underlying issue when it comes to eating disorders. Studies show that eating disorders are usually caused by psychological issues. For example, someone suffering from anorexia nervosa will constantly obsess over their weight. In the mind of the patient, they are overweight and they see the need to eat less to avoid weight gain, when in reality they are not overweight. Just like people suffering from anorexia, bulimia patients also fear gaining weight. However, for this group of people, overeating is something they can not control. This behavior is usually followed with fasting, excessive workouts or even forced vomiting. 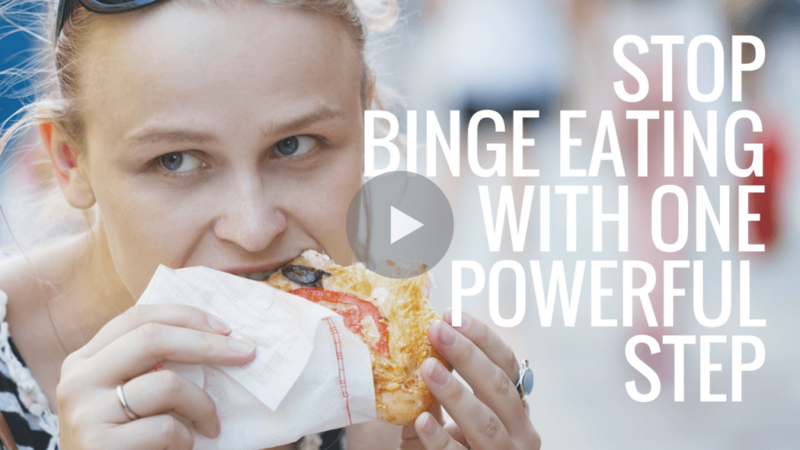 People with the binge-eating disorder, on the other hand, eat uncontrollably. It may start small but the habit may grow over time. Unlike anorexia and bulimia patients, most binge-eaters become obese, and they are at a risk of contracting cardiovascular diseases. The good news is that eating disorders can be treated. One of the treatment methods includes psychological counseling. Counseling is usually done by professionals who advise on a wide range of issues. Counseling therapies may cover nutrition, exercise and treatment for anxiety and depression. Counseling sessions may be conducted alone with the patient or in a group or family setting. In some cases, eating disorder patients may require hospitalization. In such extreme cases, the patient may be put under medication and monitoring. They may be given medication such as antidepressants and nutritional supplements. If you have an eating disorder and have realized that you need specialized treatment, how would you choose amongst all the available eating Disorder Treatment Centers located in the Portland, Oregon area? Of course, they are all in business and will say as they advertise their services that they offer the best level of care, but you need to know what to look for so that indeed you can choose a facility that will work for you as well as one which will not cost you too much. Here are some key things that will guide you to know if you are making a good decision. Most of us know that our eating disorders are psychologically rooted. This means that they are in your mind and you need to deal with that. Unfortunately, pills are not the answer. There may be some special cases or conditions where you might be prescribed a few pills, but you should never admit yourself into a center where they use pills to try and get rid of your eating disorder. Make sure you ask them exactly how they plan to help you kick your eating disorder. You need to know what methods they will use. And once you find out, set out to know as much as you can about these methods. There are two advantages to this. One is that you will understand exactly what they are doing with your body and that knowledge is empowering – you will want to cooperate even better for them to help you lose or gain weight. The second advantage of knowing is that they can never do anything on you that you don’t like or are not familiar with. If it was not part of the program, you have the right to say no; otherwise, they should explain exactly why they have changed from what they promised initially. Make sure that you get a center that’s covered by your medical insurance as these kinds of procedures don’t come cheap. There are alternatives to eating disorder treatment centers in Portland, Oregon. You either visit a professional mental health therapist or an eating disorders counselor that understands your specific needs. Serving the Pacific Northwest for over 18 years! There are several outlets to consider when looking for mental health services. For example, those with mental health needs may come across programs that offer the following: crisis hotline, assertive community treatment programs, child and adolescent services, cognitive behavioral therapy, case management, hospital liaison, out-patient psychiatric treatment, intake, and referral and faith-based help. There are many reasons why people seek out mental health services from therapy Counseling Treatment. If an individual is free of anxiety, excessive stress, addictions, worry, depression, and other psychological problems, they feel more fulfilled. Desiring to have a healthy frame of mind is something that is normal to most. Having good mental health can assist a person to succeed in many aspects of their daily living such as: maintaining good health, making good life choices, and physical health, maintaining and having healthy relationships, hence the reason you should seek Top Professional therapy Counseling Treatment. Those with mental health issues have a likelihood of making poor choices. Some examples of these poor choices are excessive drinking of alcohol, drug use, smoking, bad eating habits and reckless behavior. These can all contribute to a person’s overall health and well being and for those who abuse themselves, the need for medical services will increase. With regards to treatment and sources of help, personal faith often plays a significant role in the reduction and elimination of the above mention symptoms and problems. Many people find themselves without permanent answers even after extensive professional mental health treatment services are received. Faith-based programs can give individuals a foundation to base their lives upon that helps them handle the many vicissitudes of life. 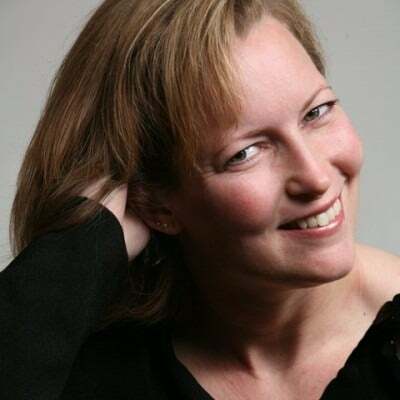 Food Is Not the Enemy Mental Health Services led by Anne Cuthbert, a Licensed Certified Professional has experience in all areas pertaining to eating disorders and emotional healing to overcome these issues allowing you to live a healthy and happy life. When it comes to obtaining therapy or therapy for an eating disorder such as anorexia nervosa, binge eating, body shame, excessive exercise or bulimia, there are several choices available. The type as well as intensity of treatment that is required differ for every. The most vital facet of therapy is a person’s wish to recuperate. Our physical wellness can be forced, basically, however mental and psychological healing needs a particular amount of visibility to that experience. Preliminary therapy relies on the level of physical treatment that a person requires. The damage done to the body can be extreme, also life-threatening. In many cases, medical stabilizing is needed prior to any other kind of treatment can begin. Various other times, an individual’s physical as well as psychological treatment could co-exist from the very start of therapy. There are different levels of care, starting with inpatient. This environment offers the patient with 24/7 structure and also accessibility to clinical and also psychiatric/psychological treatment. Whether in a healthcare facility or an exclusive treatment facility, inpatient programs are usually attached to outpatient programs, allowing the client to gradually step down the degree of care as their health improves. Partial hospital programs or extensive outpatient programs along with day health center care offer daily structure as well as take care of ED individuals that are living in the house. Long-lasting care centers, known as household care, provide a location to live for consuming disorder individuals. For some, dietary counseling along with treatment with a psychological healthcare specialist that the client depends on can be the winning mix. Other individuals have success with medication as suggested and overseen by a psychiatrist. Be sincere with yourself you do not always consume since you are hungry. A number of the times you do to comfort or sidetrack on your own from a concern or when you are upset. You need not worry because you are not the only one. Almost every one of us is into convenience eating. Nearly all of us prefer to have an ice-cream or possibly a pizza after a demanding day, or binge on delicious chocolates when you are not delighted. This is okay, until and also unless you create a practice. This practice results in weight gain, making you look awful, and also you come to be sadder; thus, you binge much more and also get even more weight. You see, this is a vicious circle. Do not be discouraged; you can overcome the anxiety of emotiona eating, including binge consuming. This starts with a cost-free appointment from a relied on specialist committed to consuming conditions concerns and also trauma. At Food Is Not The Enemy, our emotional therapy is targeted at soothing and also dealing with the signs and symptoms of past trauma. Psycho therapists think that injury is not always connected with a particular event, yet it is a biological as well as physiological response to the event. It has actually been found that there is a really considerable link in between injury and also consuming disorders. Studies have actually located that loneliness as well as physical and also emotional abuse progressively brings about psychological eating. Comfort eating ends up being particularly troublesome when it becomes the first turn to seek calmness. Nevertheless, the good news is that you could eliminate it by seeing a mental therapist. No, you eat way too much does not imply you are insane. It is just that you do unknown the best ways to manage your impulses to consume. So do not wait, contact Anne Cuthbert for a totally free appointment today. Places to visit in Portland, Oregon.